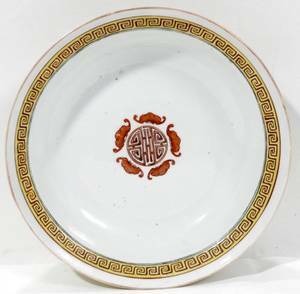 Rose Medallion decoration - 5"H x 11" in diameter. 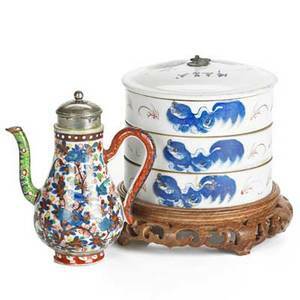 19th c. chinese porcelain; three-tiered lidded round box on wood base and miniature teapot with silver-plated lid; box: 4 3/4"
CHINESE PORCELAIN BOWL, 19TH C., H 4", DIA 8"
Chinese porcelain bowl; decorated with polychrome figures and flowers, 19th c.; 5"" x 13 3/4"" dia. 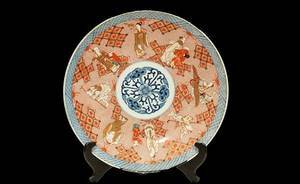 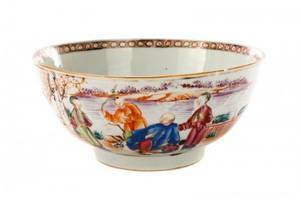 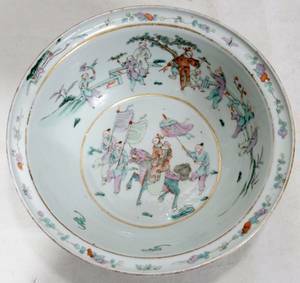 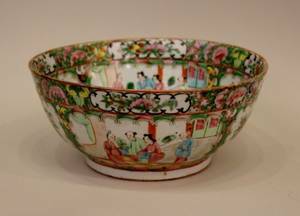 Chinese porcelain bowl; famille verte decoration, late 19th c.; 4 1/4" x 8 1/2" dia. 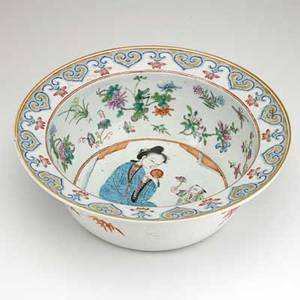 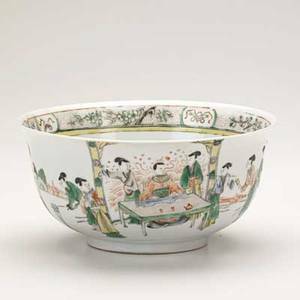 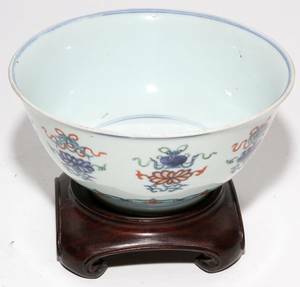 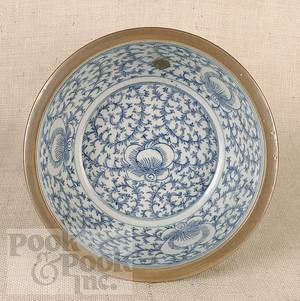 030494: CHINESE PORCELAIN, BOWL, 19TH C., DIA 7.9"
011193: CHINESE PORCELAIN BOWL, C. 1860'S, H 3 1/2"